Today is the shortest day of the year - the winter solstice. The darkest day of the year, at least in my part of the world. Apparently we will have only 7 hours, 49 minutes and 41 seconds of daylight today. I wonder how you measure the 41 seconds at Stonehenge? Recently I've taken to try and make sure I spend a few minutes outside in the garden each day, or as regularly as possible, observing in more detail what is going on in the garden. I decided to take a wander around to see what signs of life I could find, in order to help me get through this short day. 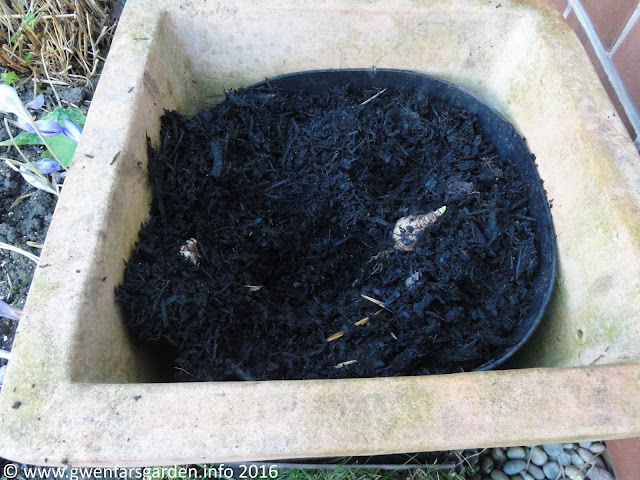 Just stepping out the back door, the first signs of life was that something, either a fox or a badger, had been digging around one of my pots with bulbs in it. Hummm, not quite the signs of life I was hoping to find. 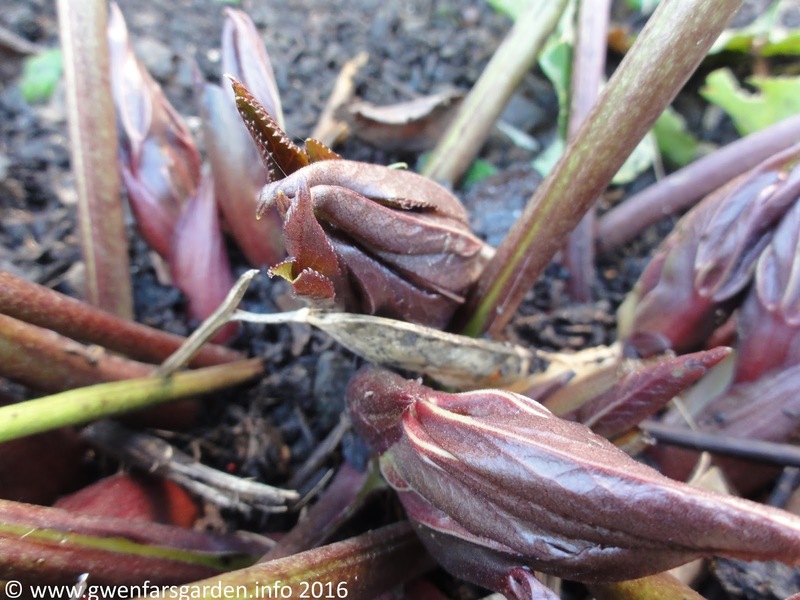 Thankfully, a bit further in and I noticed that there was definitely signs of life in one of my Hellebores. Definitely flower buds developing there - woo! 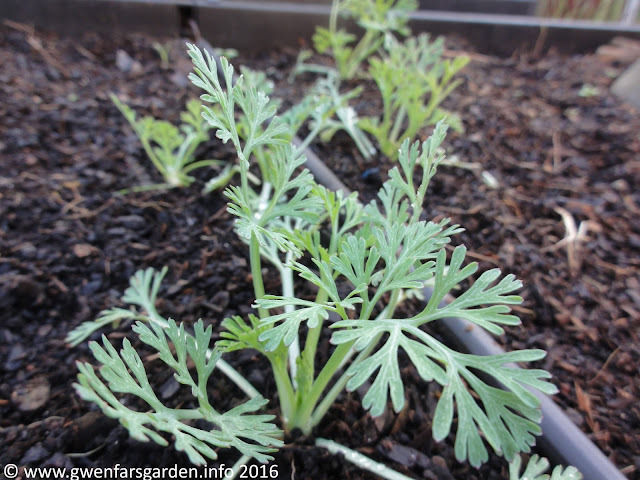 I was also pleased to find that some of the Californian poppies, Eschscholzia californica, that I sprinkled about one of the beds earlier this year, have self-seeded. Now that's a burst of sunshine to look forward to next Summer. 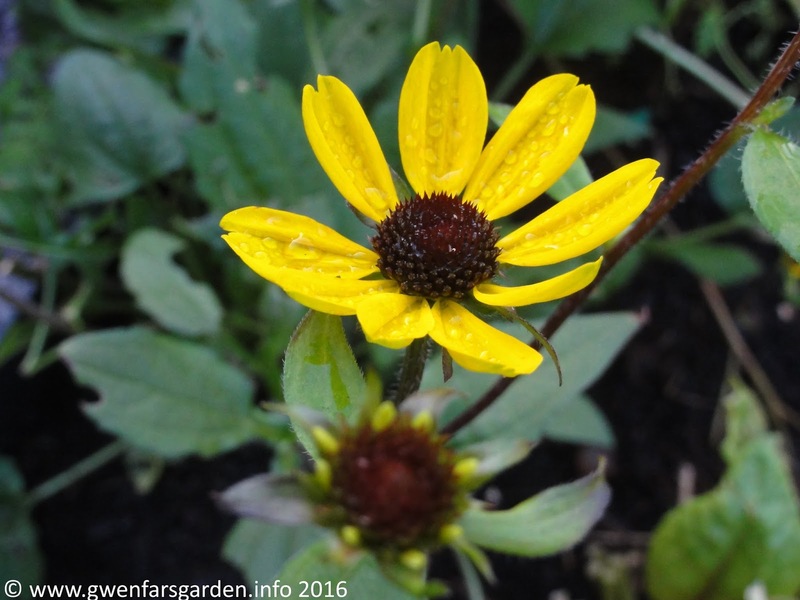 Despite several frosts, including one quite hard frost, Rudbeckia 'Takao' refuses to stop flowering. Which is interesting because not only is it a sun lover, it's one that's had no direct sun for nearly 2 months! In the kitchen garden I now have my first Broad Beans, Bunyards Exhibition, up, along with some self-seeded Pea 'Latvian'. 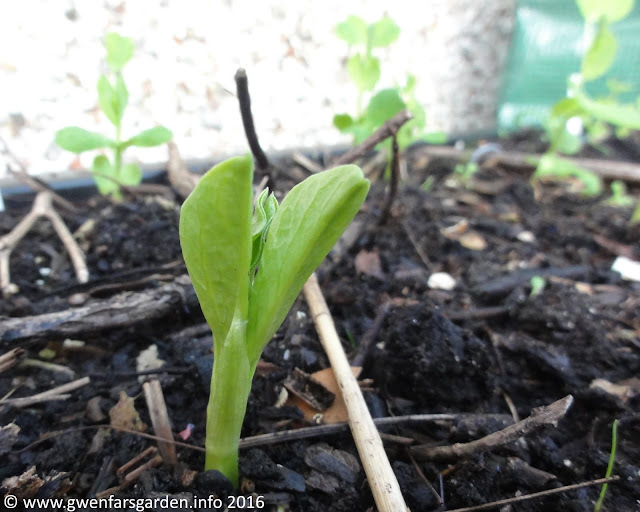 No idea if the Peas will last through winter to grow and develop pods next season. I've let them be, just to see what will happen. 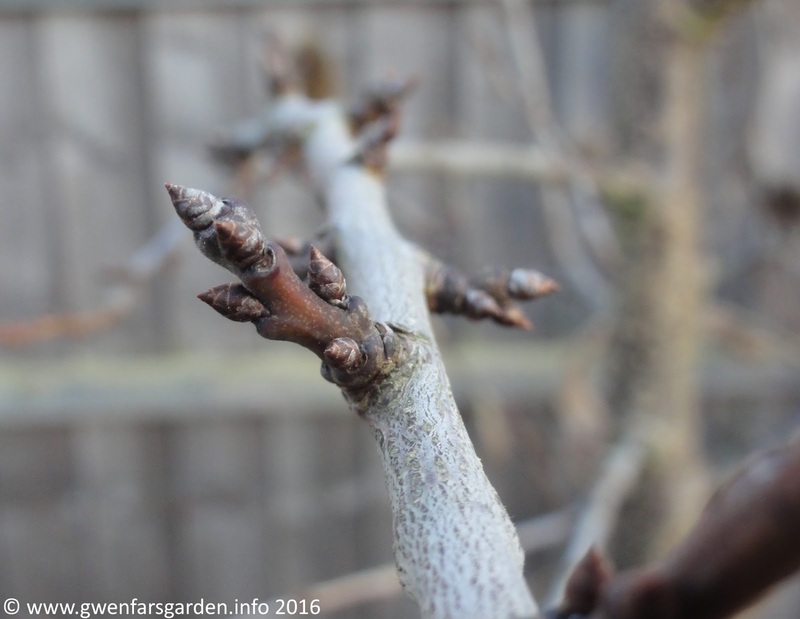 And there are hints of buds developing on my Greengage, Prunus domestica 'Denniston's Superb'. It's now 4 years old. I wonder if I'll finally get my first flowers next year? 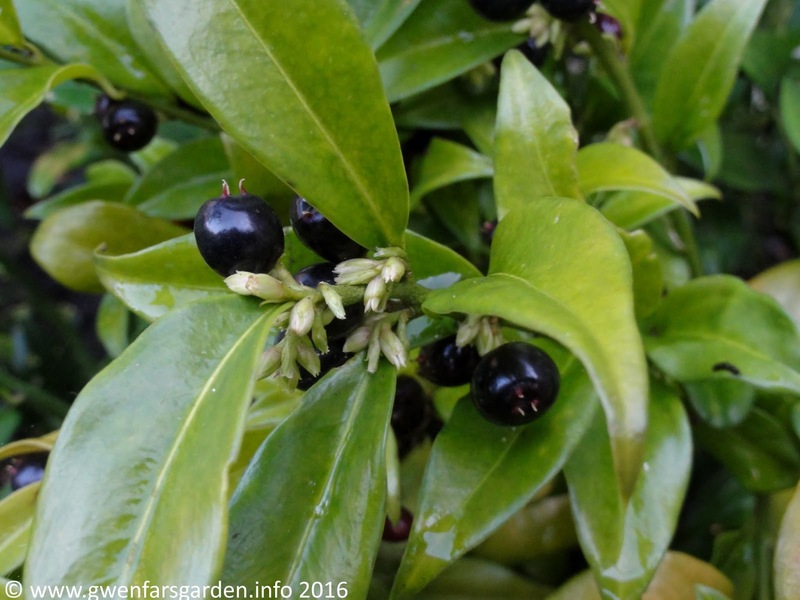 Elsewhere, Sarcococca confusa is almost ready to flower. A few more milder days and the scent in the garden will be wondrous. I do love how the berries, last years flowers, and the new flowers, are on the shrub at the same time. 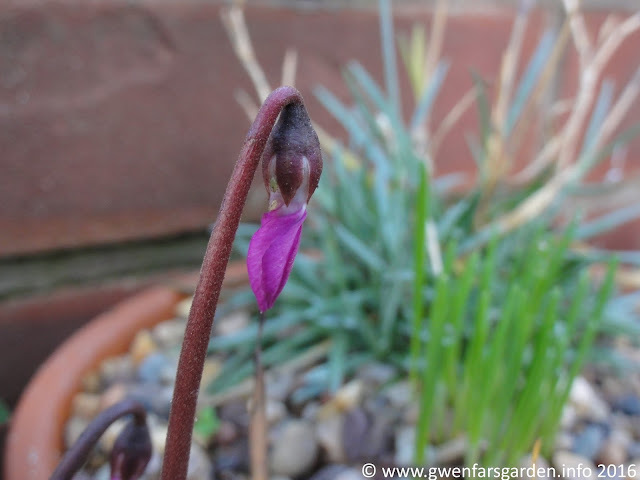 Cyclamen coum is about to flower. But hey, what's that? 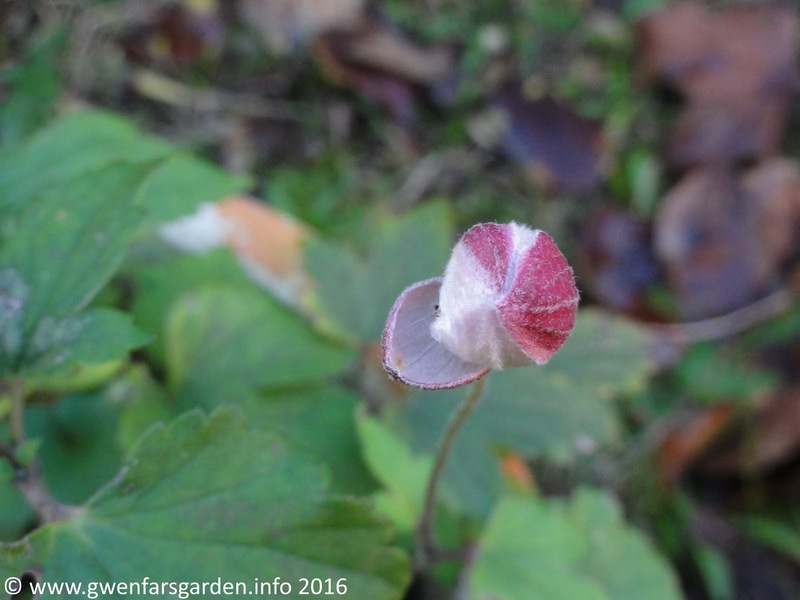 Is that GREENFLY on my cyclamen flower bud? Off there you tricksy buggers! Again, not quite the signs of life I was looking for. I guess the milder winter to-date hasn't killed them off yet. But nope. They still have life in them this year. Fair enough. 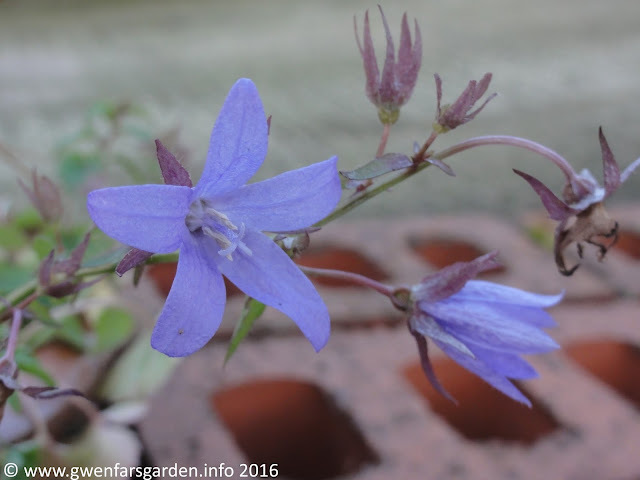 Also still with life in it, is Campanula poscharskyana. Pretty. 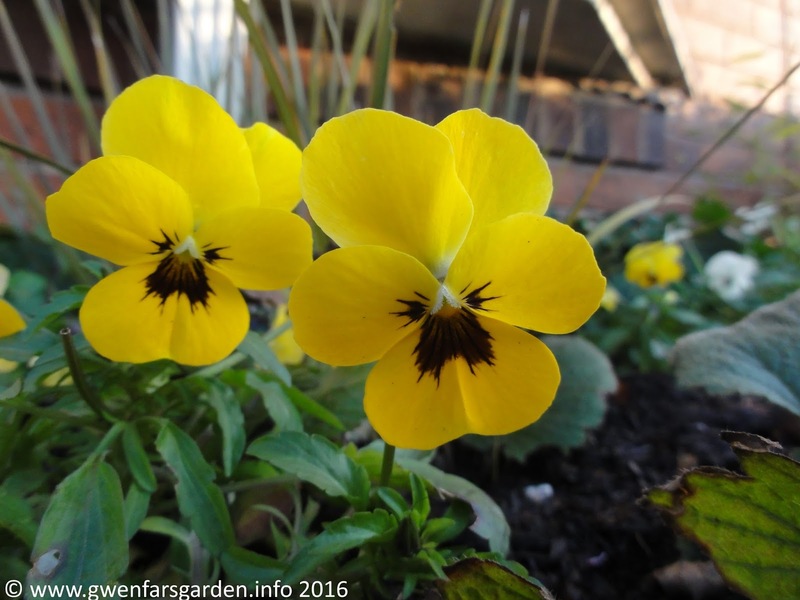 And lastly, but never leastly, are some bog-standand violas from my local garden centre. They may be bog standard, but they will continue to show signs of life throughout Winter and into early Spring. Doesn't the yellow one just shine some much-needed light on a Winter Solstice day? I found quite a few signs of life in my small garden. 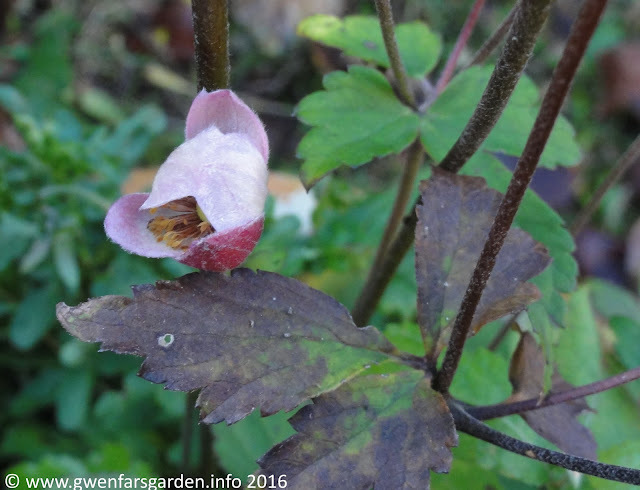 Some, like the Hellebore, hinting at treats to come further into Winter. Others, like Rudbeckia 'Takao', show what there is to look forward to next Summer. Although with the way it's flowering, it might keep going until Spring. Lovely post - i could have been in your garden alongside you. I love this small scale detailed observation- of the welcome and unwelcome. Can't wait to get back to my garden tomorrow and have a wander. Thank you. 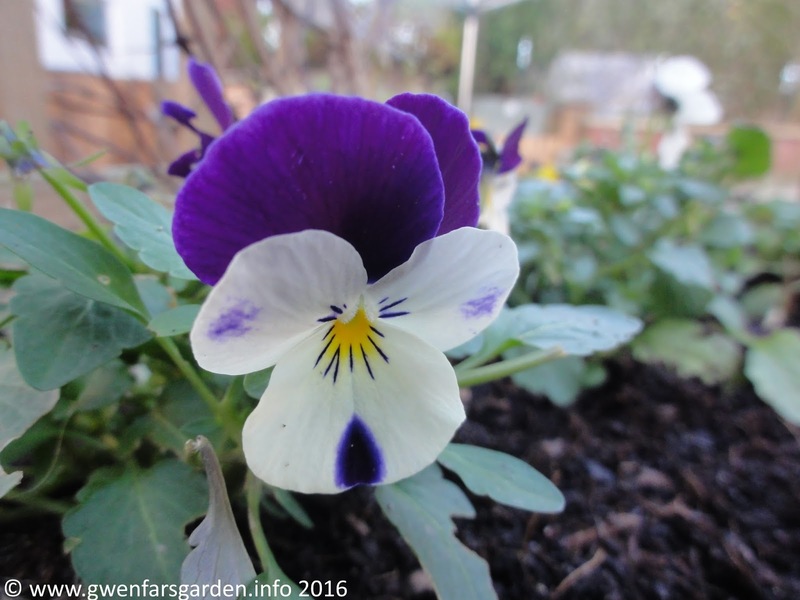 Enjoy your wander about your garden.